Batsman De Villiers has not played Test cricket since January 2016. AB de Villiers and Dale Steyn were on Wednesday named in a 14-man squad for South Africa’s one-off day-night Test against Zimbabwe, starting in Port Elizabeth on December 26. Batsman De Villiers has not played Test cricket since January 2016 while fast bowler Steyn suffered a fractured shoulder in a Test against Australia in November 2016 and only returned to competitive cricket last month. New ball bowler Vernon Philander is also back after missing a recent series against Bangladesh because of a back injury. South Africa’s top four fast bowlers are reunited, with Morne Morkel having recovered from an injury he suffered during the first Test against Bangladesh. AB and Dale bring loads of experience to the side apart from being two of the South African all-time greats,? said selection convener Linda Zondi. Faf du Plessis was named as captain, although he has been out of action recently following a shoulder operation. 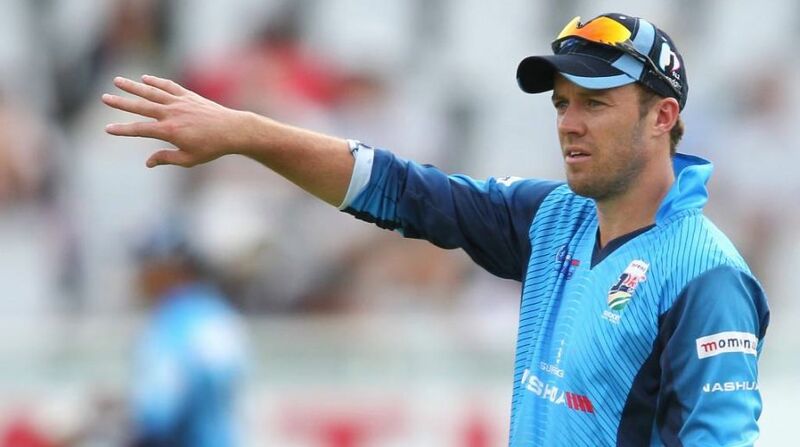 Although De Villiers is set to return to Test action, he was withdrawn from the South African Invitation team which starts a three-day match against the Zimbabweans in Paarl on Wednesday because of lower back stiffness. Zondi said the withdrawal was a precaution and that De Villiers would be available for the Test. Faf du Plessis (captain), Hashim Amla, Temba Bavuma, Quinton de Kock (wkt), Theunis de Bruyn, AB de Villiers, Dean Elgar, Keshav Maharaj, Aiden Markram, Morne Morkel, Andile Phehlukwayo, Vernon Philander, Kagiso Rabada, Dale Steyn.